Is there such a thing as too many red blood cells? When most people think about problems with red blood cells, they think of ​anemia, a reduced number of red blood cells, but too many red blood cells can be a problem too. This is called polycythemia, or erythrocytosis. There are some technical differences between the two but are often used interchangeably. 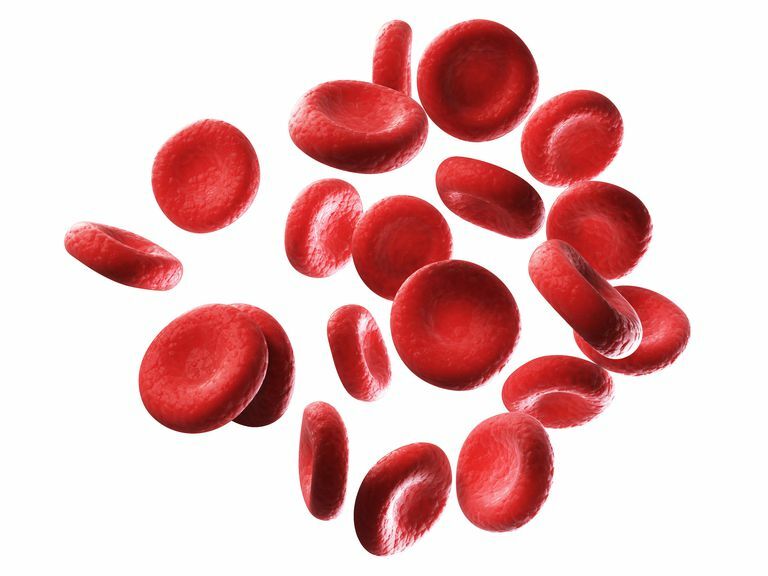 Why you may think more is better than not enough, polycythemia can cause significant problems. This thickens the blood because now there are more cells in the same amount of liquid (called plasma). This blood has difficulty moving through the blood vessels and can result in strokes, heart attacks, blood clots or pulmonary embolus (blood clot in the lung). The symptoms of polycythemia are vague and some people do not have any symptoms and are diagnosed after routine laboratory work. Polycythemia is identified by complete blood count. The red blood cell count (labeled RBC), hemoglobin, and/or hematocrit is elevated. The blood work will be repeated to rule out laboratory error. It is important to note normal values vary by age and gender (after puberty) and affect the definition of polycythemia. Other work-up is performed to determine if a cause can be identified. This would include measuring oxygen level (often called a pulse ox) and performing a heart and lung evaluation (chest x-ray, EKG, and echocardiogram) to rule out low oxygen levels as the cause. Erythropoietin level, a hormone secreted by the kidney that promotes red cell production, may be measured. Bone marrow aspirate and biopsy may also be performed. All of these terms may sound new to you. If your doctor is using them, or if you receive a lab report and are having trouble deciphering it, ask for help. Doing your own research can help, but having a professional explain them to you has an added benefit: they'll explain what the results mean in relation to you specifically. Polycythemia vera: This a rare condition of the bone marrow. Usually, you also have an elevated white blood cell count (leukocytosis) and elevated platelet count (thrombocytosis). This can be caused by a genetic mutation called JAK2. Familial: These are inherited conditions where the body produces more red blood cells than expected. Twin to twin transfusion: In this condition, one twin receives more blood from the placenta than the other. Phlebotomy: Blood is removed from a vein on a regular schedule to prevent complications. The blood is often replaced with normal saline (a fluid given in the vein). Hydroxyurea: Hydroxyurea, an oral medication, can be used if phlebotomy is not tolerated. Hydroxyurea will reduce all blood counts: white blood cells, red blood cells, and platelets. Interferon-alpha: Interferon-alpha can be used to stimulate your immune system to fight the overproduction of red blood cells. Aspirin: Aspirin may be used to reduce the risk of clots. Aspirin prevents platelets from clotting. Ruxolitinib: Ruxolitinib can be used in patients with a JAK2 mutation and either doesn't tolerate or don't respond to hydroxyurea treatment.